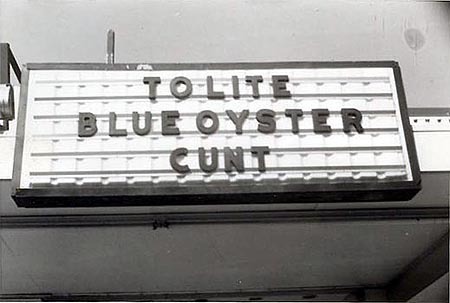 This marquee was spelled correctly before the show and someone moved around a few letters during it. I think this is the Slovak Center, but I could be wrong. We cracked up! Jeff Hayes took the picture. 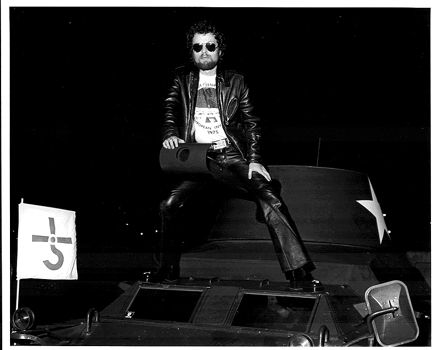 Taken by Jeff Hayes, my great friend and drummer in my college bands. 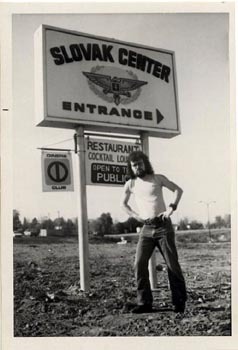 He tagged along to a few shows in our earliest days, like this Slovak Center in PA somewhere. This is taken in the afternoon of the show, out front. I would guess this is 1971-72. This is at a press thing for WNEW-FM from around 1994. 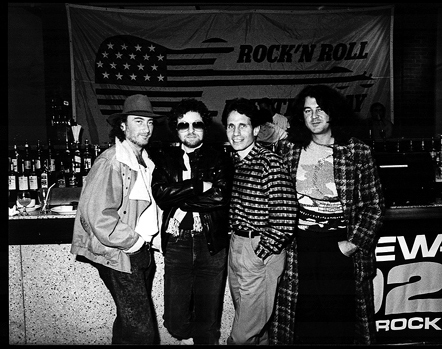 Here I'm posing with one of the on-air staff along with Roger Glover and Ian Gillan. A shot on my bike in 1980-81. The bike is a 1980 80 cu. in. Low Rider. It used to live in the back of one of our semi's in a little wooden house that the truck driver built, all the way in front of the gear. 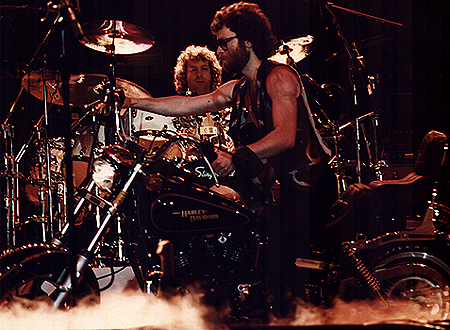 It was great to go down to the gigs early, get it out and drive around wherever we were playing. Some press thing in L.A., CA. The gun was fake but the staff car was a cool prop. 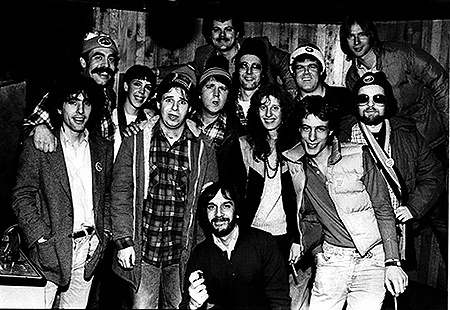 An early 80's shot of the WLIR-FM staff (which included me during my guest appearances on Ben Manila's show). 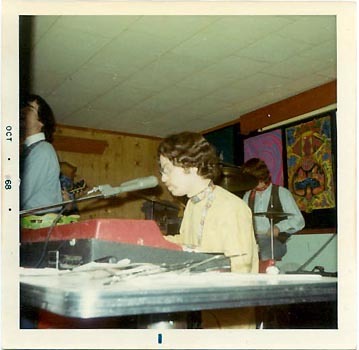 Note Bob and Doug MacKenzie, two noted hosers who we sponsored at the now defunct "My Father's Place" in Roslyn, NY. Take off, eh? 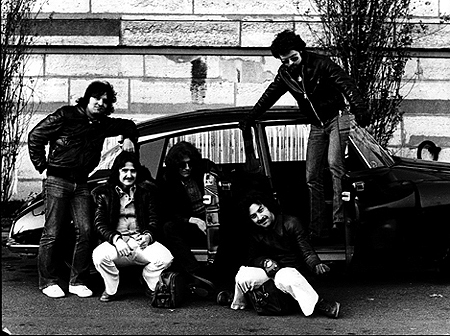 Here's a photo of the original band using a Citroen DS-19 Pallas as a prop. Also in Paris and taken by Freddy Hauser. 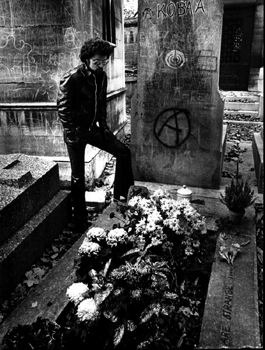 This picture is at Jim Morrison's grave in Paris. Note all the graffiti on other people's graves which starts near the street and points you to Jim. 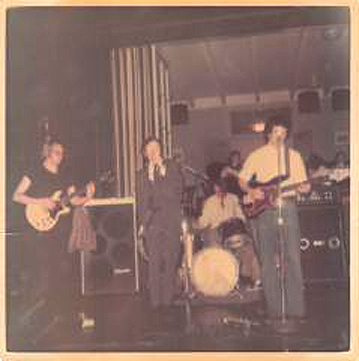 This is a picture taken during a Euro tour in the 70's. On the right is Freddy Hauser, a French photographer and DJ, TV host and a fine fellow. 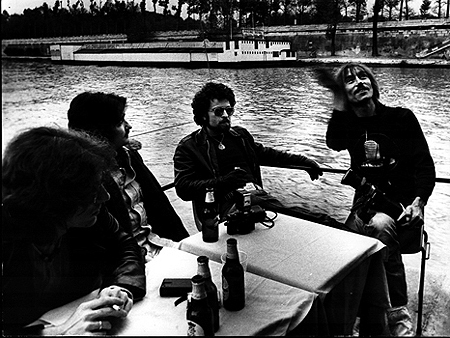 He arranged this boat ride up the Seine in Paris during which we did some press. 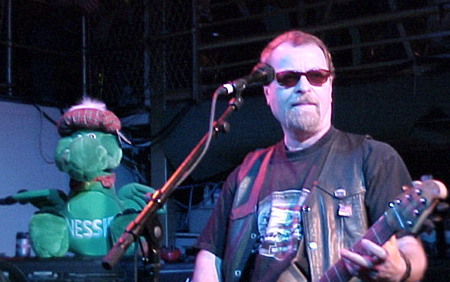 In Glasgow 2003 with the Nessie (Lochness Monster) stuffed doll given to me by the online fans at the beginning of Godzilla. 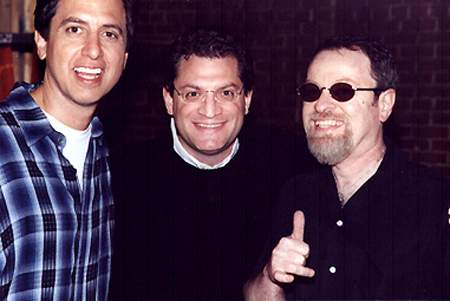 Ray Romano with his manager and a long time friend of Eric, Rory Rosegarten. 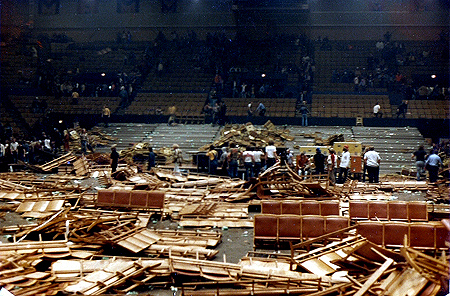 Aftermath of Black & Blue Tour October 9, 1980 in Milwaukee. During the Black and Blue tour, each band took turns closing, Milwaukee having the Sabs close. We played our show, went back to the dressing room. After a bit everyone in our band left the building except for me. I was quite friendly with the Sabs tour manager and we were chatting backstage while Sabbath went on. I don't know exactly if it was the first song, but while we were talking I noticed there was no music. Their tour manager ran to the stage to see what was wrong. It seems someone threw something at Geezer Butler (they took a long time coming onstage between bands...but no excuse). The Sabs stormed offstage. The audience proceeded to go insane, throwing chairs, etc. The aftershow mahem made the front page of the NY Times....and for some reason we were painted with the same brush...we were banned from Milwaukee for years.